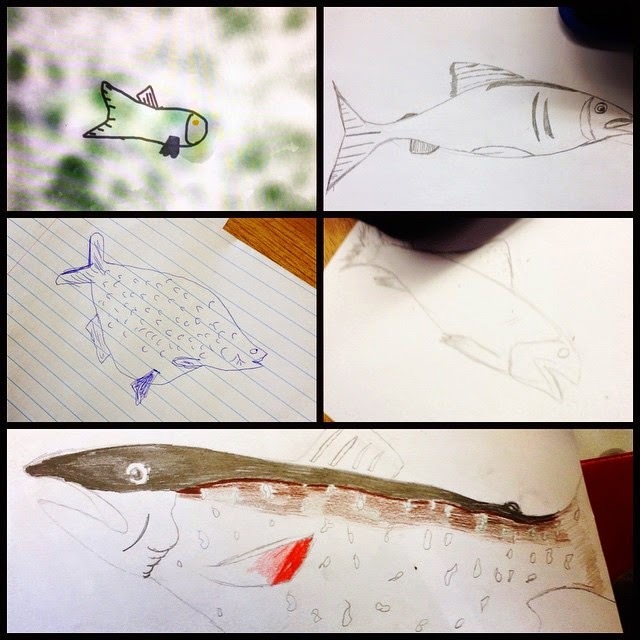 In the fall of 2014, Fish Futures set out to visit six schools in Manitoba to promote fishing, stewardship, and the Youth Angling Card Artwork Contest. This year’s presenters were Don Lamont and John Toone. 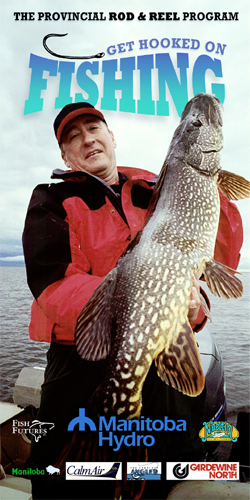 Don Lamont is famous because of his TV show The Complete Angler, and he is also an angling educator and the Editor of Hooked Magazine. John B. Toone is a writer, film producer, and volunteer for Fish Futures. On October 29th and November 4th, John Toone visited Mr. Schmidt’s Grade 7 and Grade 8 classes at George Waters School in Winnipeg. At least half of the students had fished before, and many reported catching fish. John brought along a carved lake trout mount made of wood (purchase at a FFI Banquet many years back) and a selection of lake trout lures. 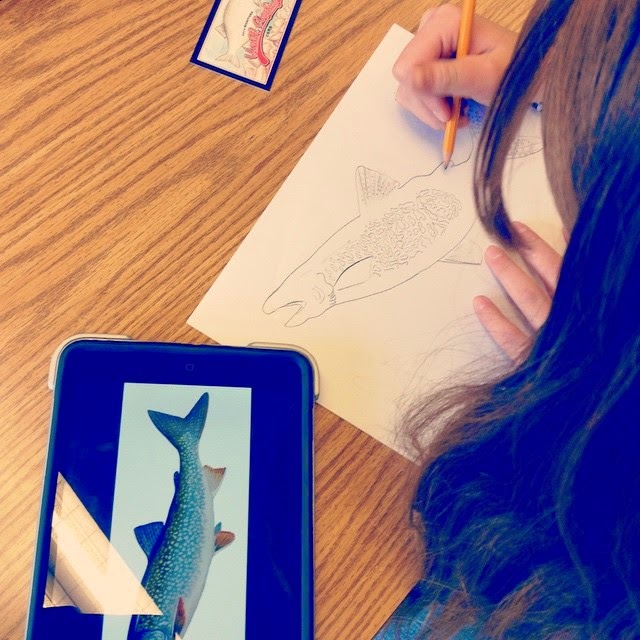 The students learned about the lifecycle of a lake trout, their habitat, and the challenges these fish may face in a warming environment. On December 11th, John Toone visited Ms. Floyde’s Kindergarten class at Frontenac School in Winnipeg. Many of the children were anglers and very enthusiastic. 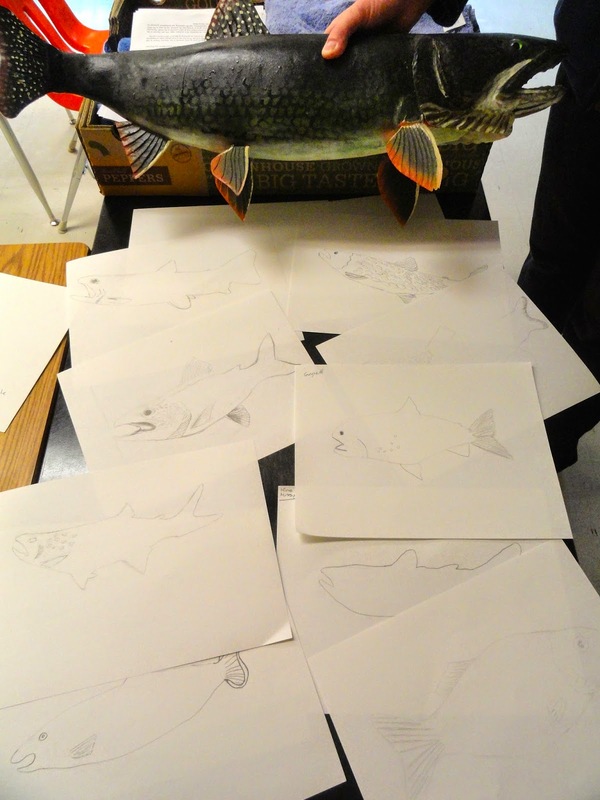 The students learned about the parts of a fish, where they like to live, and what a fish needs to survive. John introduced them to the lake trout and they shared their fishing stories. 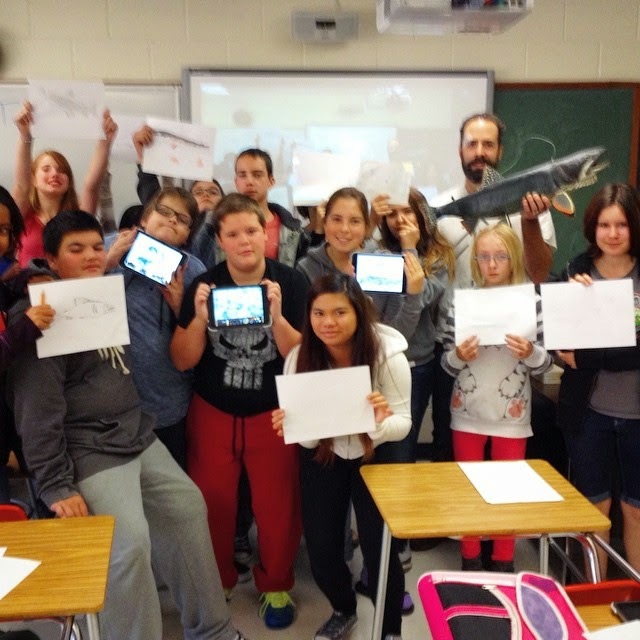 Teachers like the Youth Angling Card Artwork Contest because it combines lessons in art, science, social studies, and language arts. If you know of a school that would like a presentation promoting fishing, stewardship, and the Youth Angling Card Artwork Contest, please contact John Toone – john@johntoone.ca.